From an initial meeting in Worcester, Jo Robinson, schools lead for Civil Service Local, has been working with DWP schools advisers based in the East and West Midlands. The partnership has benefited everyone. 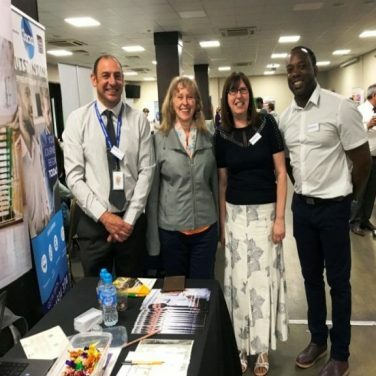 Our enthusiastic volunteers from different departments support the schools advisers in delivering careers and employability skills activities to students in their local communities. 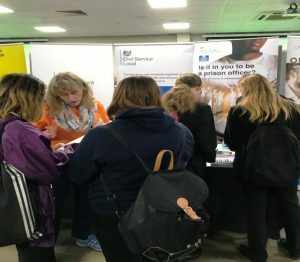 The latest opportunity was to promote the Civil Service as an employer at the Northampton Skills Show. Volunteers spoke to students about the different careers available and what it's like to work as a civil servant. Business was brisk from the outset, with over 900 students attending the event, which also featured local employers, colleges, universities and training providers. Other recent activities have included delivering mock interviews, giving careers talks and speed mentoring.